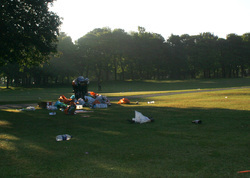 The images here were taken on WoodHouse Moor at about 6.30am after a sunny day. 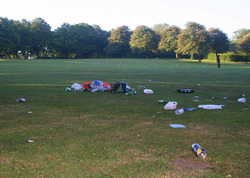 This all gets cleared away before anyone can see just how much there is. Here's a LoveWhereYouLive article on the project with more information. It was also featured on Recyclart. Jo Johnson - Leeds Metropolitan University Union Assistant President Community Wellbeing have both assisted me with this project! Aluminium: Recycling one aluminium can saves enough energy to light a 100watt bulb for four hours! In theory, if all the aluminium currently in circulation is recycled rather than taken to landfill, there'd be no need to make any more from raw material Bauxite. 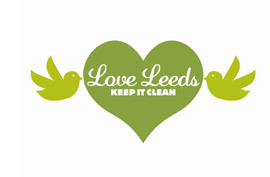 It only takes 6 weeks to recycle, re-manufacture and resell a drinks can! 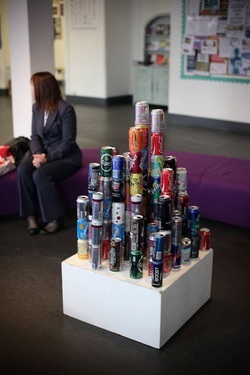 This Aluminium metropolis is made up of two bin bags worth of used drinks cans. Plastic: 25 recycled plastic bottles can make one fleece jacket. Which is much more useful than spending 500 years in landfill. The facts are everywhere. 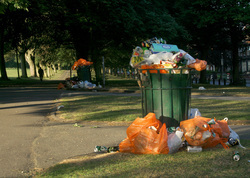 Plastic is not good, so the more we can recycle the less we have to make, saving money and reducing emissions! 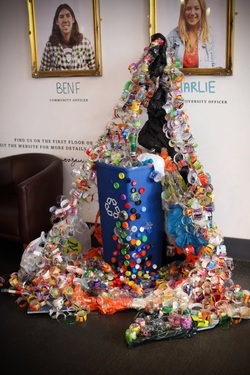 This Plastic Sculpture is made out of four bin bags full of used plastic bottles and lids, and various carrier bags. 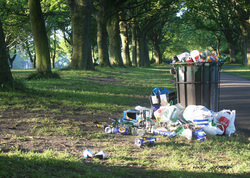 Food Packaging: If it's recyclable, recycle it. If it's soiled, dispose of it properly. 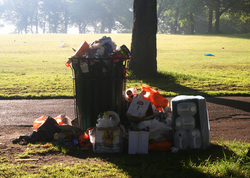 Empty food cartons on our streets and in our green spaces are a direct link to the rise in the rat population. Rats carry diseases. 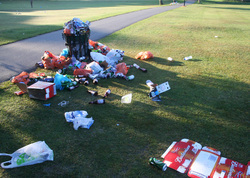 7 out of 10 items of litter are food related. This 5ft tall dog is called Domino. 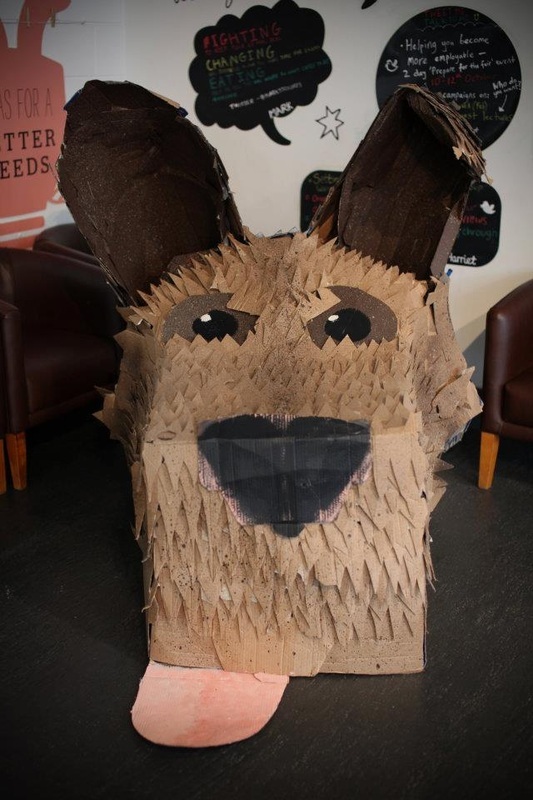 He's made out of about 150used pizza boxes (the greasy bits cut off).